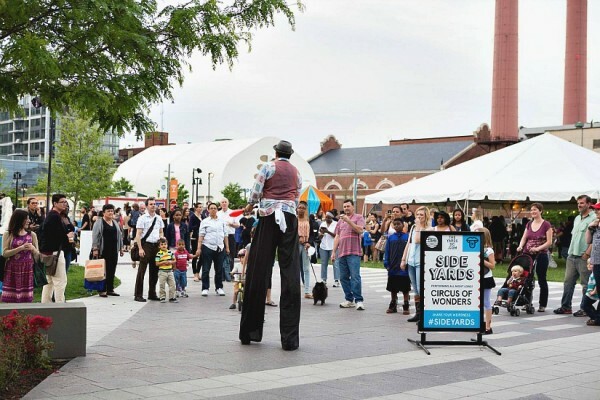 A carnival complete with magicians, fire breathers and contortionists is coming to the Navy Yard. The second annual Side Yards event is scheduled for this Saturday at Yards Park (355 Water St. SE) from 6 to 10 p.m.
A collection of East Coast sideshow performers,many from the traveling Circus of Wonders, will put their quirky talents on display for guests. A burlesque show is also planned for one of three performances stages, a new feature to this year’s event. There will be live music, food available for purchase and a beer garden by Due South, which opened near Yards Park in August. Tents will cover the carnival attractions, so the show will go on as planned regardless of weather. Zenczak added there will be some activities for younger audiences, including balloon artists and a bubble fairy. The Yards regularly throws themed celebrations in the park. Most recently, Ice Yards was a winter version of last summer’s Splash Yards, which drew more than 2,000 people. Side Yards is free and open to the public, but organizers are recommending interested guests reserve tickets in advance online.